We feel sympathized by the pain of the poor people. We feel sorrow for the poor souls suffering in sickness and traumas. Feeling bad or understanding the pains of the poor and impoverished souls, are of no use unless we step up to take righteous actions to help them. 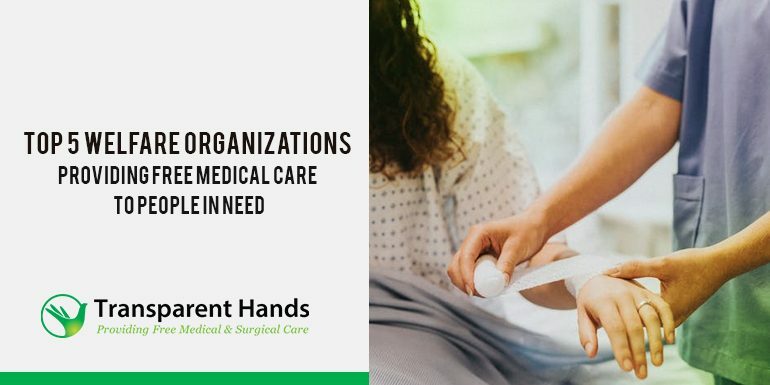 NGOs and charitable organizations working in the health industry are aware of this alarming situation, and are addressing the various health problems to ensure healthy lives for all. These organizations are trying hard to achieve universal health coverage for all. They are working on charitable projects to expand access to health care and protect the poorest from health expenses, that are causing them severe financial hardship. Modernizing medical facilities are of no use, unless we assure that these modernized facilities and equipment are accessible to people from all walks of life. We must ensure that every individual is getting proper care, medicines, diagnosis and attention at times of dire need. A little thought and a little kindness are often worth more than all other materialistic benefits in the world. We have the tendency to view kindness as our weakness which is absolutely wrong. Kindness is the highest form of intelligence gifted to mankind. We must utilize this gift to its fullest in the servitude of the poor, the needy and the destitute. Our kind donations can give hope to millions of lives. We should donate to nongovernmental organizations, that are working for the betterment of our health care system so that every individual can live in good health and with dignity. Transparent Hands is in first position, in our List of Top 5 Welfare Organization Providing Free Medical Care to People In Need. 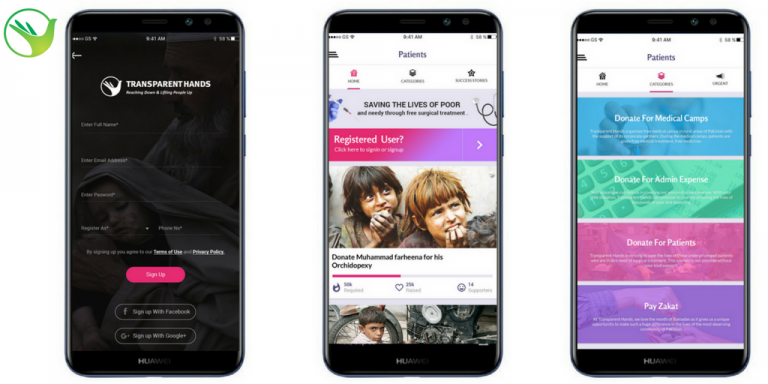 Transparent Hands is a non-profit organization, which is tackling this major healthcare issue of Pakistan with the help of fundraising through its unique Crowdfunding platform. Transparent Hands conducts the surgeries of deserving patients free of cost at private hospitals, with the help of donations and charity. Donors from all over the world can use our online Crowdfunding web portal if they wish to donate. You can select any patient, fund the surgery and receive regular feedback and updates, until the patient is recovered completely. Al-Khair Foundation is in second position, in our list of Top 5 Welfare Organizations Providing Free Medical Care To People In Need. Al-Khair Foundation (AKF) is always on standby to support victims during emergencies and disasters. Care Australia is in third position ,in our List of Top 5 Welfare Organizations Providing Free Medical Care To People In Need. CARE Australia is a leading international aid organization, that works around the globe to save lives and defeat poverty. They know they cannot overcome poverty until all people have equal rights and opportunities. They put women and girls at the heart of their work. Their access to equal opportunities represents a powerful and effective opportunity to end extreme poverty. When one woman escapes poverty, she will bring four others with her. 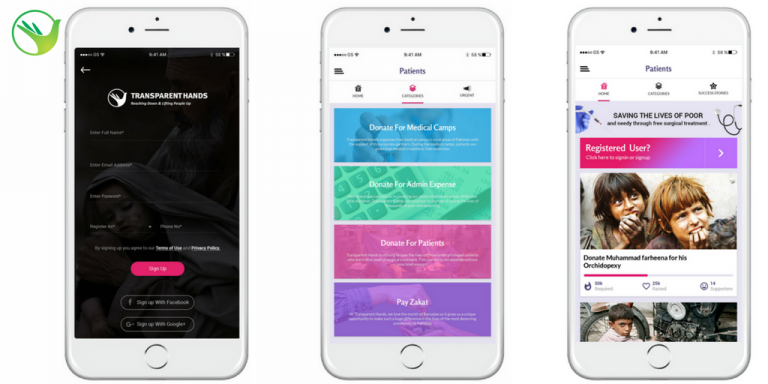 Throughout their site, their name ‘CARE’ is used to reflect their lifesaving work across the world. Their network includes 14 federation members working in over 95 countries. Please refer to their Annual Report for a more detailed list of the multiple programs CARE Australia directly manages. CARE has been committed to helping the world’s most vulnerable people, since the first CARE packages were sent to the survivors of World War II in 1945. They seek to end extreme poverty for all who experience it. They provide assistance to those in poverty regardless of race, religion or ethnicity. They have learnt from their work across 95 countries that when inequality is tackled, long-term lasting change is possible. Their work, approach and goals are defined by the CARE Australia Strategy 2019+. CARE is a leader within the global movement dedicated to ending poverty. They have become known through their 70 years of helping people for their unshakable commitment, to the dignity of all people. They put women and girls in the center, because they know that they cannot overcome poverty and health issues until all people have equal rights and opportunities. Partners In Health is in fourth position, in our List of Top 5 Welfare Organization Providing Free Medical Care To People In Need. Partners In Health was founded in 1987 by Paul Farmer, Ophelia Dahl, Jim Yong Kim, Todd McCormack and Tom White. They draw on the resources of the world’s leading medical and academic institutions and on the lived experience of the world’s poorest and sickest communities. At its root, Their mission is both medical and moral. When Their patients are ill and have no access to care, their team of health professionals, scholars, and activists will do whatever it takes to make them well just as they would do if a member of their own families or they ourselves were ill.
Grounding the Partners In Health mission around the world is an everlasting commitment to work alongside and learn from local people to accompany patients, caregivers and policy leaders alike – in every country and community that we serve. We care for patients in their homes and communities. We work in close partnership with local government officials, and the world’s leading medical and academic institutions to build capacity and strengthen health systems. We eliminate preventable disease by fighting for a culture and standards of care, in which 21st century people are no longer condemned by 18th century diseases simply because they were born into poverty. Because access to care is one of the biggest obstacles for poor people living in rural areas, we bring care to them in their homes via locally hired and managed community health workers – people who can understand the medical and social needs for their neighbours better than anyone else. They provide medication, monitor patients’ treatments regimens and refer the sickest people to clinics or hospitals for further care. High quality medical education and training for local health professionals is indispensable to our work. We bring the resources of the world’s leading medical, research and teaching institutions directly to the communities we serve, building each local workforce of doctors, nurses and administrators around the highest standard of health care. Partners In Health works with community and government providers to compliment, rather than supplant, existing public health infrastructure. As the most durable piece of our work, this may be the most critical. Building and renovating facilities, mobilizing equipment and medicine, and providing both clinical and operations expertise collectively anchor our response to public health crises of every scale and duration. Whether we’re leading cutting-edge research, collaborating with manufacturers and suppliers, or influencing policy, the wide-ranging work of Partners In Health has long served to challenge and notion that proven treatments are too difficult or costly to be effective in poor communities. For decades we’ve built our reputation on redefining what’s possible in global health – and then making it happen. Child Cancer Foundation is in fifth position, in our List of Top 5 Welfare Organizations Providing Free Medical Care To People in Need.The Child Cancer Foundation is a New Zealand-based charity that offers support to children with cancer and their families.It has a high profile through public fundraising events. According to a report provided by the WHO and World Bank Group, 400 million people lack proper access to essential health services in the world. About 6% of people in low- and middle-income countries are living in extreme poverty, because of expensive medical facilities or health services that they had to pay out of their own pockets. This impoverished population is further led to poverty by accessing costly health services which often put them in difficult financial hardships, due to selling properties or jewelry to acquire loans for their treatments. A huge population in this world lacks essential health services like family planning, antenatal care, skilled birth attendance, child immunization, antiretroviral therapy and treatment of life-threatening diseases like tuberculosis, cancer and HIV/ AIDS etc. Social justice and equity cannot be established in our world, unless we are fulfilling our commitment to ensuring universal health coverage for all. The government and health professionals need to focus on health policies and programs, which can provide quality health services for the poorest people, women and children, living in rural and urban areas, to refugees and those from minority groups. The governments, health professionals and nonprofit organizations must conduct surveys to measure the progress of our health industry regularly, because reporting will keep everyone focused to ensure quality healthcare for all. This information should be highlighted and placed strongly before the authorities to help them make decisions to improve the healthcare facilities and services. The healthcare industry is an essential part of the physical and economic health of every individual in the country. Healthcare is the basic right of every human being, and no one on this earth should be begging to get proper medical care when they are in ill health or dying. Caring about people and valuing lives are the acts of humanity. Without this sense of caring and providing quality healthcare to all, no nation can achieve real prosperity; neither can they claim themselves to be civilized or progressed communities of this world.